REVIEW - Year Walk - Use a Potion! 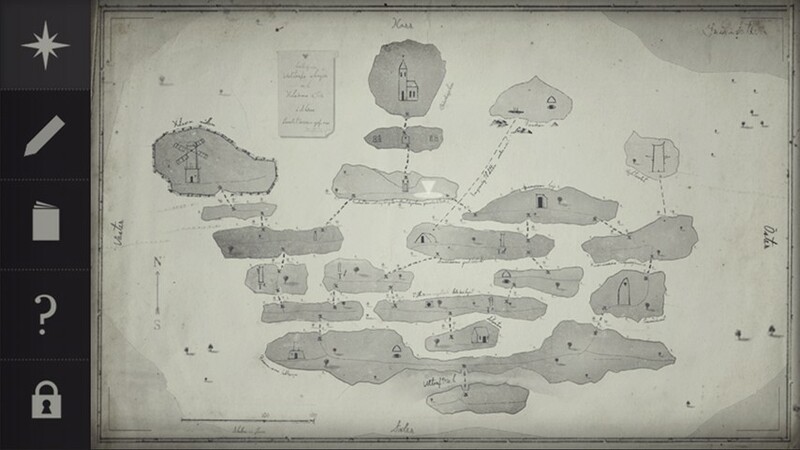 I’ve seen plenty of strange premises for video games throughout my time, but nothing quite like Year Walk; a game that plays out one mans experience of Årsgång, a form of divination performed in Sweden. Also known as a Year Walk, Årsgång is performed when someone lock themselves up in a dark room without speaking, eating or drinking for 24 hours. Come midnight, they venture out to a church where they have to pass a series of tests. Pass these tests and they’ll see a vision of the future and what awaits them in the following year. 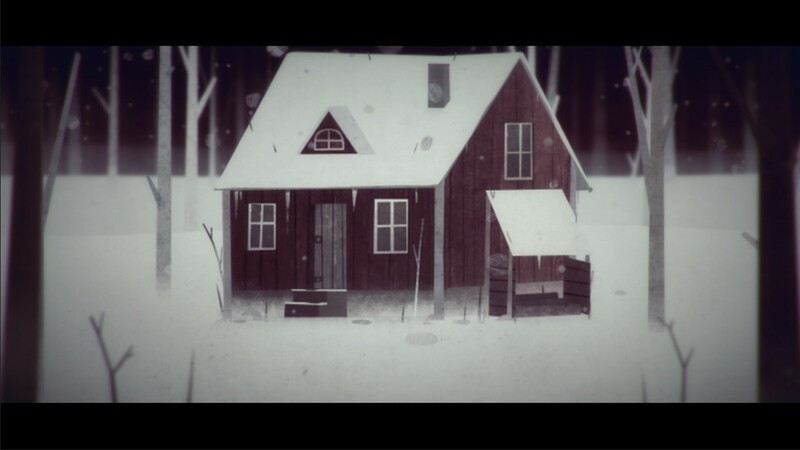 Whilst an unusual premise, Year Walk ensures that it lends itself well to the video game medium as a fantastic and haunting little game. Year Walk was originally brought to mobile devices by Swedish developers Simogo back in 2013 and has since seen the transition to PC and finally the Wii U, in what is considered the definitive edition offering a host of features exclusive to the Wii U game pad. 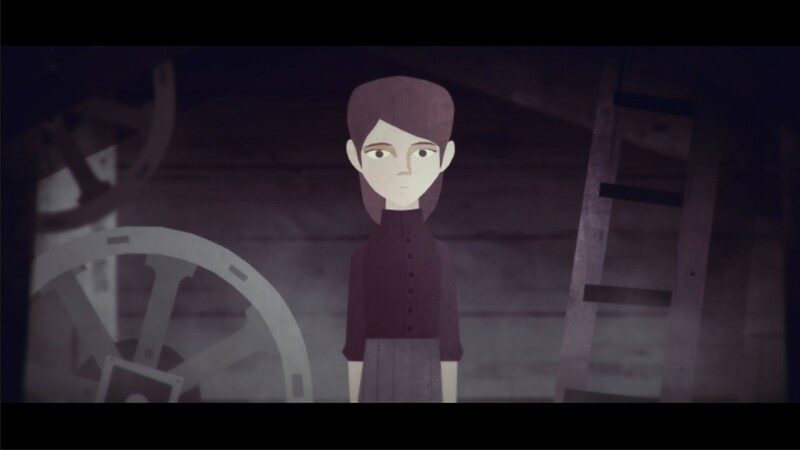 The game tells the tale of Year Walk participant Daniel Svensson – a young man homed within a Swedish forest who is in love with the miller’s daughter, Stina. Stina however is engaged to another man and Daniel partakes in a Year Walk to find out exactly what he should do. To tell more of the story would spoil the experience; the discoveries you make along the way sculpt a tremendous tale, dosed with eerie and often horrifying elements aplenty. Seriously, Year Walk takes some dark turns but it never feels like it is done for the sake of it – a Year Walk is considered an eerie, harrowing experience and the game perfectly conveys that. The game takes place in a forest and is displayed on a 2D-plane. You’re permanently fixed in a camera angle facing north, but can move left and right as you navigate each area. Movement between areas is conducted through the use of paths that will face either north or south, indicated by a small arrow. It’s minimal, but very effective. Navigation is also helped by the map that displays on the Wii U game pad, showing exactly where you are and marking any important landmarks. The landmarks are where most puzzles of the game take place. 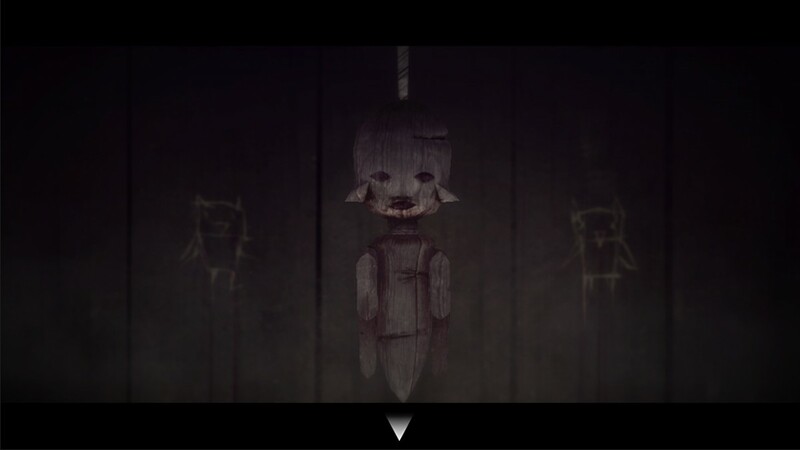 These puzzles come in plenty of varieties; one time you will be controlling a windmill to access something attached to one of its blades whilst another time you’ll be repeating a button combination that has been instructed to you by a blood soaked doll (I told you it gets dark). Most puzzles simply consist of you finding information hidden within the woods; for example, you’ll see marking on trees that are mysterious to begin with, but make sense when you encounter the relevant puzzle they correspond with. You’ll also have to keep exploring the forest; an area which seemed empty earlier in the game may host something new as the game progresses. Nothing is pointless in Year Walk, but instead meticulously designed to make everything make perfect sense. The puzzles are well designed and functional; whilst none will have you scratching your head for hours, they are generally clever in design and will give you a feeling of satisfaction upon completion. If you do manage to get a little confused there is a hint system offering you three clues on how to solve the puzzle, each one decreasing in ambiguity. Graphically, Year Walk looks superb. Similar to the gameplay itself, it has a minimalist 2D look; that subtle approach lends itself perfectly to the atmosphere though. This isn’t a game that needs jaw-dropping AAA visuals, but just something that will draw you into the experience and immerse the player – Year Walk succeeds in doing just that. It seems everything is designed with purpose; the game has an almost drained-like colour palette, something that feels intentional to fit with the vibe of the game. Of course, that may just be my own perception but the fact that the game gives me that impression means it must be doing something right. Each area you explore is carefully designed – the fact the game takes place from a singular viewpoint doesn’t detract from your immersion, but in fact allows the developers to let the player see exactly what they want them to. This means that the snow covered forest never looks boring, but in fact has a desolate, lonely feel to it; just how the developer intends. The area is well crafted and a joy to explore, especially with all the bizarre encounters you make along the way. You’ll encounter plenty of mythological creatures on your Year Walk, each one a representative of Scandinavian folklore. Whilst the nature of the creatures is bizarre in itself, Simogo have done a fantastic job with their designs and making them fit within the game world. A particular favourite was the ‘Bäckahästen’, a horse you encounter in the river. I won’t mention much else about the encounter in fear of spoiling anything, but it certainly stood out to me as one of the more disturbing encounters in the game. You’re able to read about each creature you encounter through the Year Walk encyclopaedia, accessible through the Wii U gamepad. This encyclopedia is full of information about the creatures along with the Year Walk itself; something especially useful considering story details are somewhat lacking throughout the main game. Aside from the previously mentioned map and encyclopedia, the game pad also allows you to take notes (a feature exclusive to the Wii U), offers additional sound effects and also allows you to interact with objects through gyro controls. You use the left shoulder button to bring up a cursor that you then interactive with by clicking the right shoulder button and moving the gamepad around. It’s generally quite effective, but there were a few occasions that felt slightly clumsy. Of course, it’s not game breaking but instead just a slight irritant. 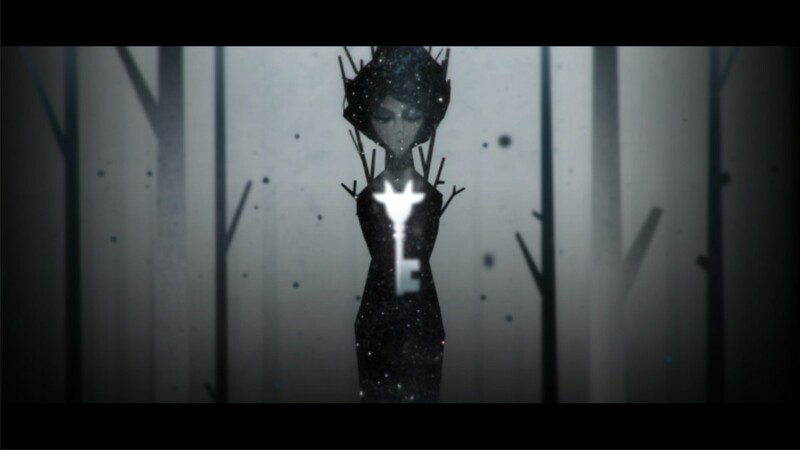 The gamepad interaction also holds some secrets of the game that are only accessible on your second Year Walk; make sure to pay close attention to the game’s ending if you want to discover all the secrets hidden in the game. The game is easily finished in roughly two hours; whilst this may seem short to some gamers, the low price point of the title means you generally get enough bang for your buck. If anything, you’d wish it lasts slightly longer just because you’re enjoying it so much.